The UK’s largest independent hotel group saw all five of its golf resorts feature within the new list, which was compiled by an international panel of experts who considered the quality of a venue’s golf course(s), accommodation, amenities and setting to establish the standings. European Challenge Tour venue, Macdonald Aviemore Resort, located in the Highlands of Scotland, which underwent a £1 million investment programme to develop its new clubhouse in 2013, was the highest ranked Macdonald venue, finishing 23rd in the inaugural classification. The success in the Top 100 ranking follows an investment programme, which included a course renovation project across the five venues and the refurbishment of the hotels as part of a wider £10 million project in 2015, designed to further enhance playing conditions and customer experience. 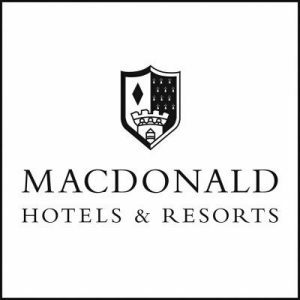 – Established in 1990 by Donald Macdonald and colleagues, over the past 25 years Macdonald Hotels & Resorts has successfully expanded from its beginnings in Aberdeenshire to become the UK’s largest privately owned hotel group. – Operating 55 hotels throughout the UK, Ireland, Portugal and Spain, the group continues to invest and now employs over 4,000 staff and operates in excess of 4,500 hotel rooms. – Macdonald Hotels & Resorts is proud of its promise to serve only the finest and freshest produce, with flavoursome dishes always prepared from whole raw ingredients. – A forward-thinking, environmentally responsible hotel group, through its ‘Room 20’ programme led by internal ‘green teams’, Macdonald Hotels & Resorts continues to focus on achieving ambitious, self-imposed energy saving targets. – This unwavering commitment to achieving the highest quality standards in every aspect of the business has seen Macdonald Hotels & Resorts receive numerous prestigious accolades. – This has included named 2012-2013 AA Eco-Hotel Group of the Year, receiving the MIDAS award for the Best Breakfast 2011/12, a 2012 Good Egg Award by Compassion for World Farming, the National Customer Service Awards for Leisure and Tourism and the coveted 2013 Carbon Trust Standard. Share the post "Macdonald Hotels – Golf World Top 100 Golf Resorts …"